« Learn from some custom legends! Ever miss those days when you were a kid and you’d jump on your pushie and just explore to see what the hell was out there? I sure do! So today I did just that, and I had a blast. 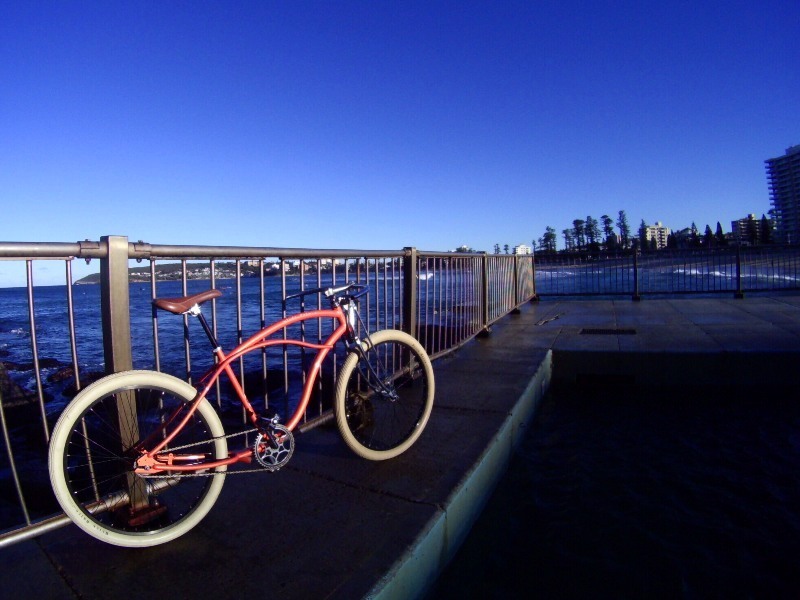 My partner was working a 5 hour shift in Mosman so it worked out perfectly – drop her off at work and then go play. 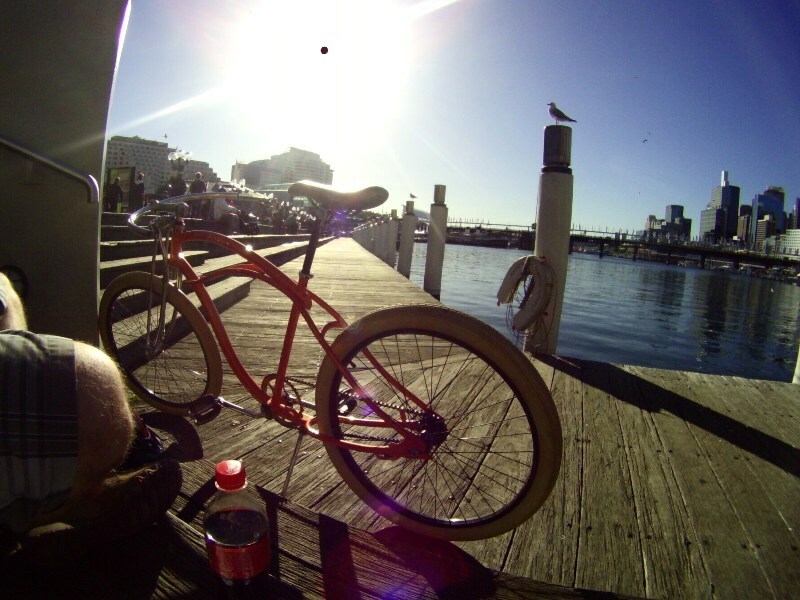 It was one of those perfect sunny winter days, ideal riding conditions. 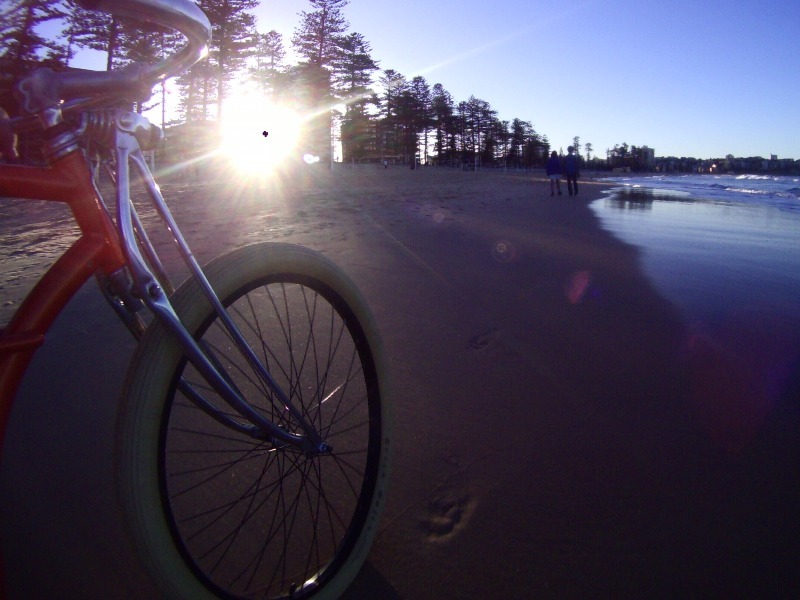 And nothing beats the simplicity of riding a single speed beach cruiser, no handbrakes, no gears – just pedal! All up I calculated I did about 22kms, which is a reasonable effort. No hills as such, but some bridges which were bad enough! 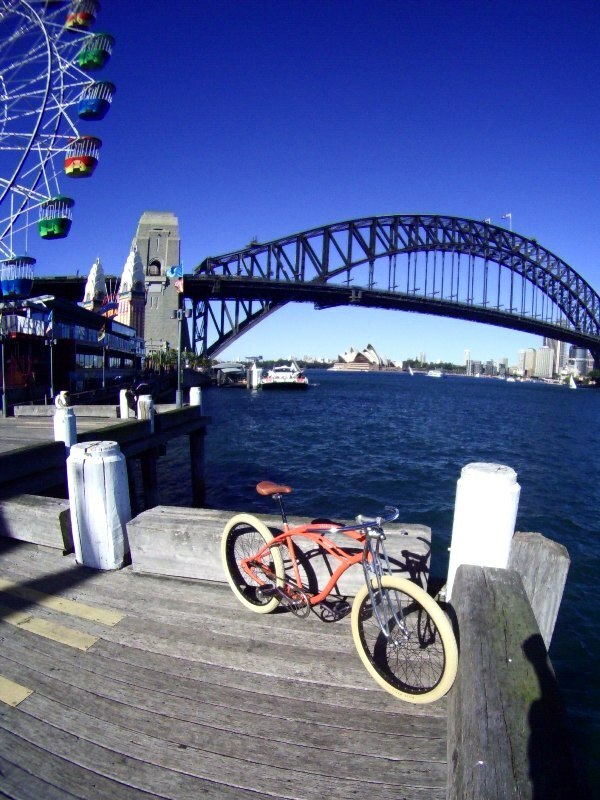 So I started by ditching the car in Kirribilli, and trundling down to the harbour for some pics. My good camera is getting some work done, so my Gopro with the fisheye lens was called in for duty. As cities go Sydney’s pretty special. 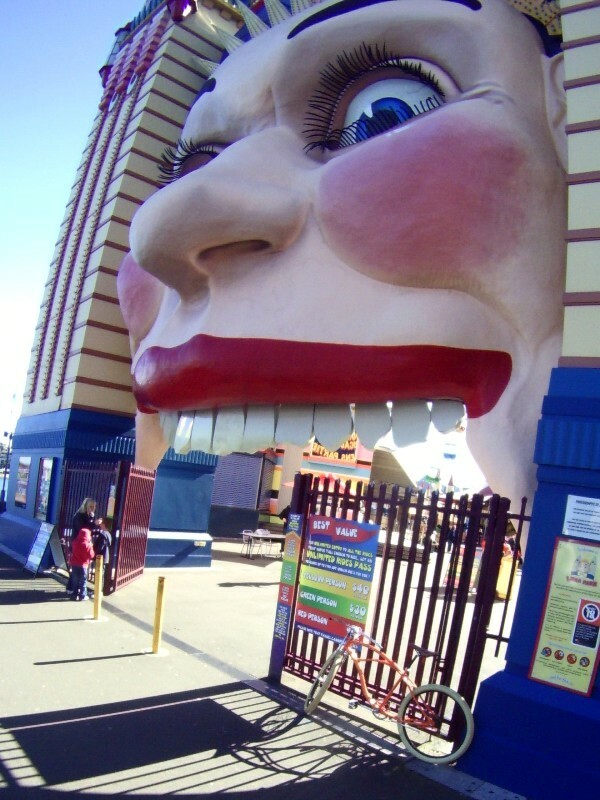 From there it was around the foreshore to Luna Park. 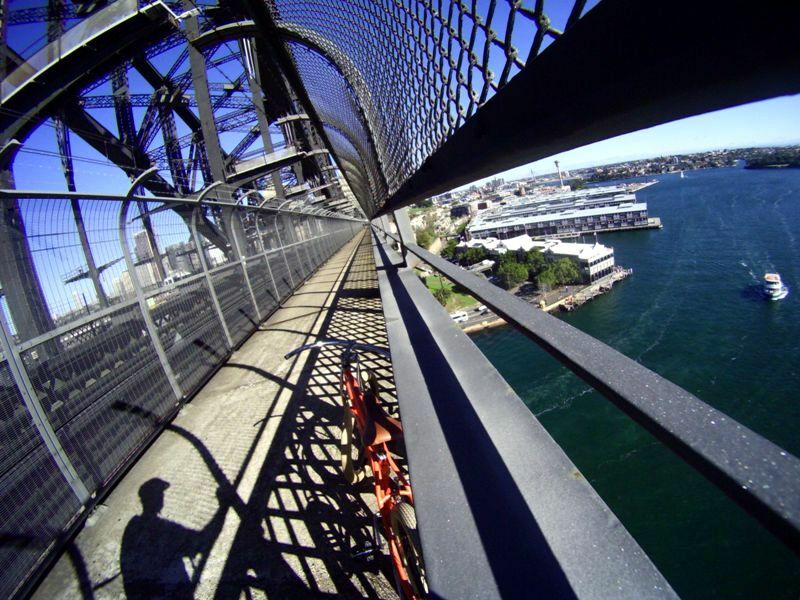 Then up through North Sydney, and across the Harbour Bridge. 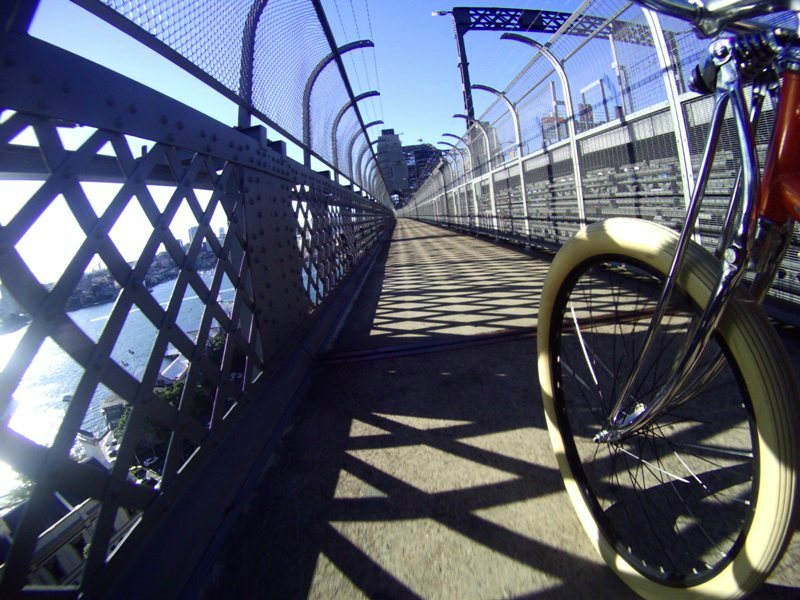 The west side of the bridge is dedicated to bikes. After the bridge I trundled south a little longer, before making a right and going over Pyrmont Bridge and over Darling Harbour. Had camera issues so no pics of this bit! From there headed over to the Anzac Bridge, which is impressive in its own right, but not as cool as the Harbour Bridge. 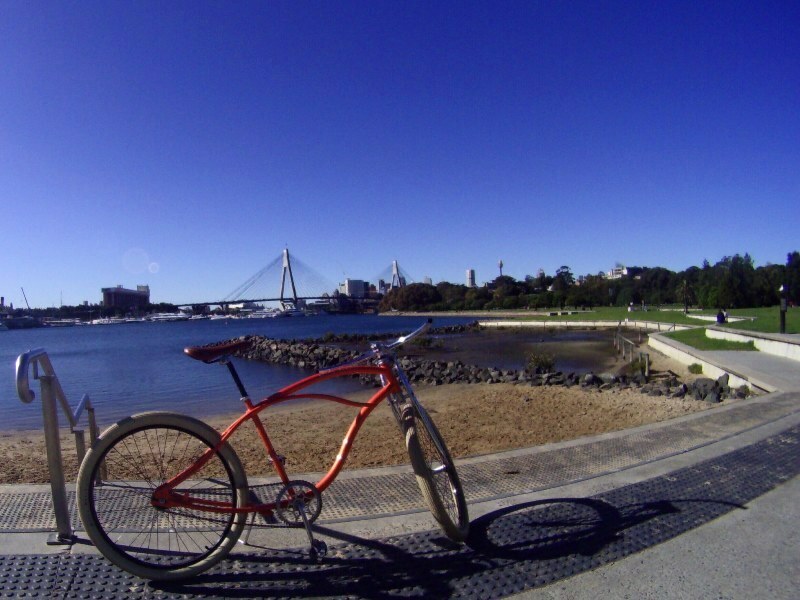 After crossing the Anzac Bridge, I hooked left and rode around Rozelle Bay. Gives you a good idea of how far I rode. 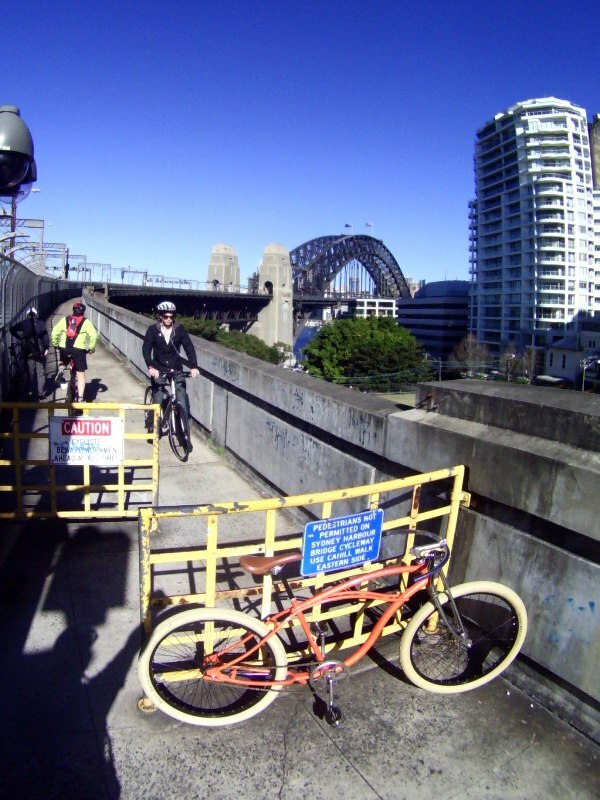 Followed the path around to Blackwattle Bay and past the Fishmarkets, and back to Darling Harbour. A quick stop netted a coke and a kebab – lunch of champions! Though I did get some funny looks riding along with a kebab in one hand looking for a nice spot to eat it. I think I did okay though. Note the black hole appearing in the sun! No it’s not the start of the apocalypse, just the Gopro doesn’t like direct sunlight. After sitting around enjoying the weather (and letting lunch settle! 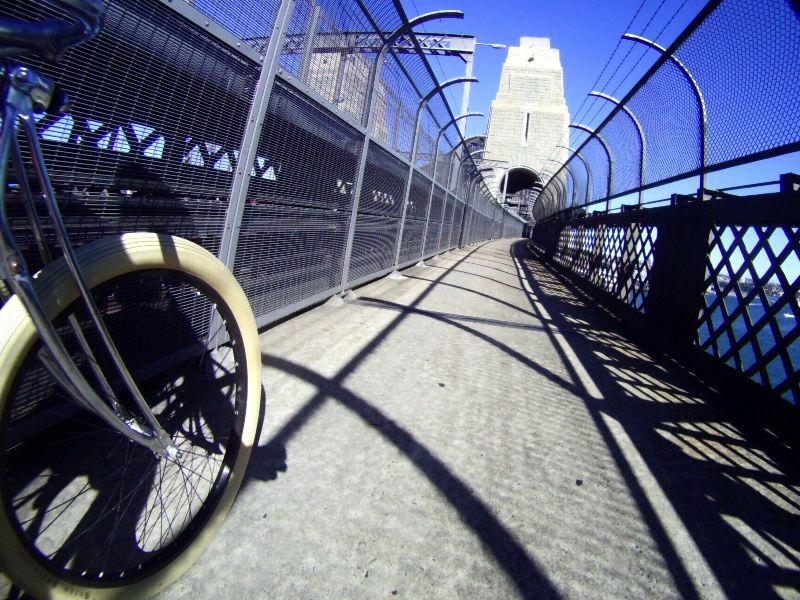 ), it was back through the CBD and back over the bridge again. 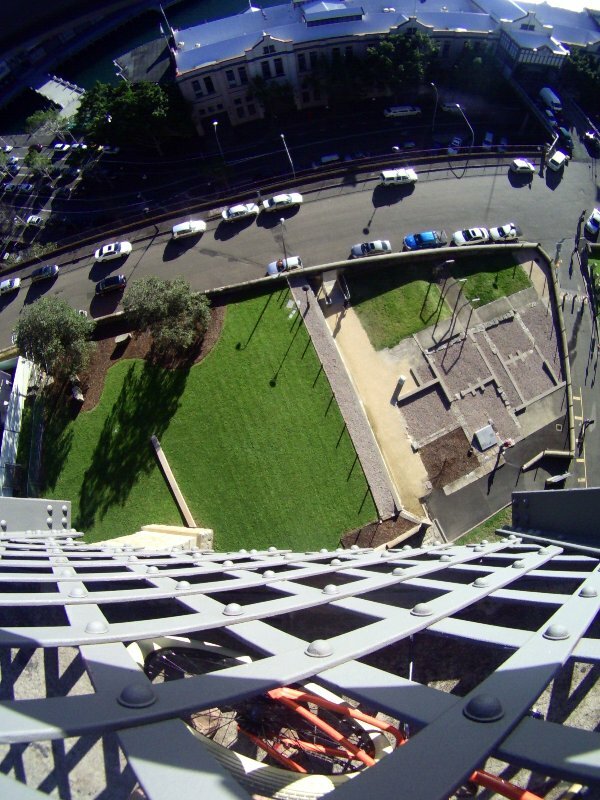 Long way down! And this is just the ramp before you get to the high bit over the water. Well I got back to the car and saw I still had a fair bit of time to kill. 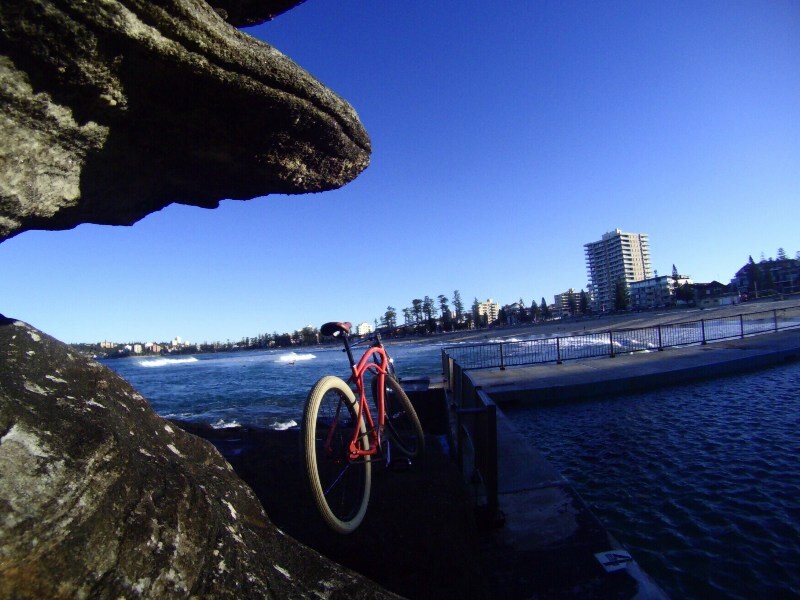 So I chucked the bike in the car and headed down to Manly beach to cruise the beachfront. Up the north end of the beach there is an ocean pool and a rocky headland, which combined with the setting sun made an awesome setting for some photos. Wish I had my decent camera to capture the colours better. After getting some pics I cruised down the whole beach length to the south end, where the bike section finishes. At the surf club there’s a ramp down to the beach so I coasted down that onto some firm wet sand which was surprisingly good to ride along. Being a winter’s day there was almost no one along the water’s edge, so I took the opportunity to put the hammer down and do some old-fashioned beach racing – great fun! 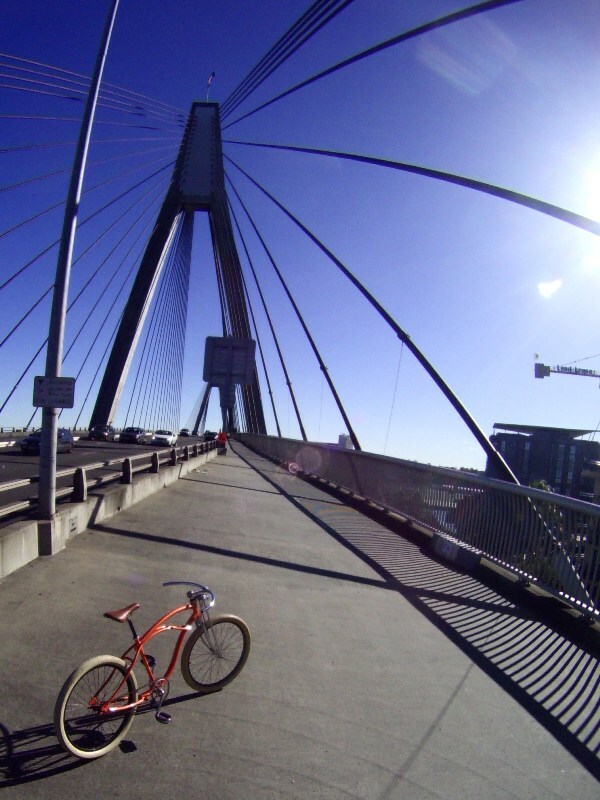 I took this pic as I was riding, however it looks like I was stationary at the time… I was moving – honest! 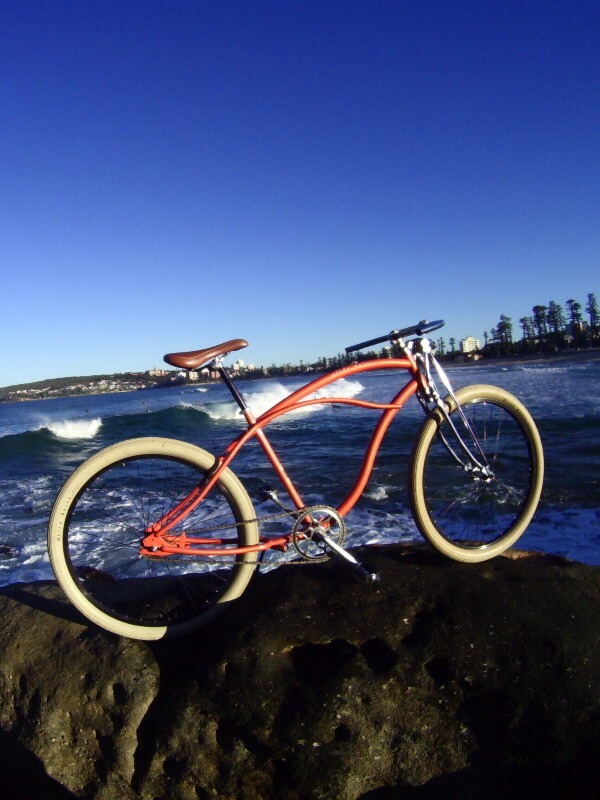 And with the beach land speed record far beyond my reach, it was time to chuck the sandy bike back in the car, crank up The Atlantics CD, and head back to Mosman to pick up my girlfriend from work. Did it take me back to being a kid and exploring? You betchya! Awesome Hewey! !….but you’re having way too much fun without the rest of us…Lol! Looks like a great ride you had there Hewey. 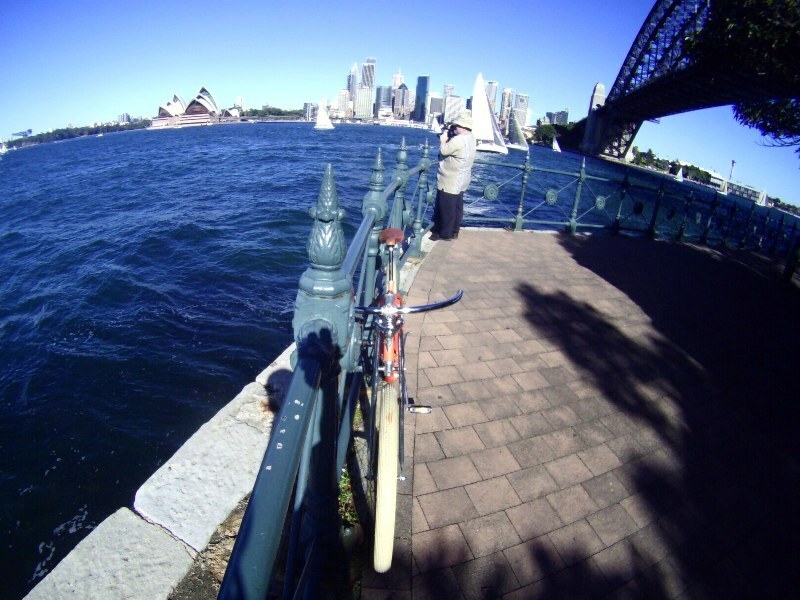 The pictures capture yesterday’s winter in Sydney ambiance nicely mate. 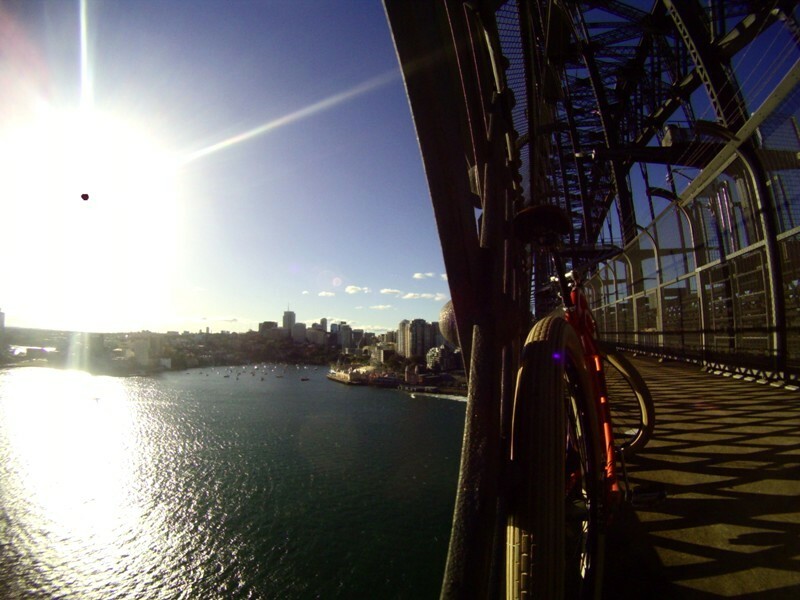 Bicycling in Sydney can be scary, but with a little planning and time there are so many sights to see for sure and well worth the effort. The cruiser looks great too. So much fun, can’t wait to join you another time after I get my sweet ride going. Nice Pics! Great read. 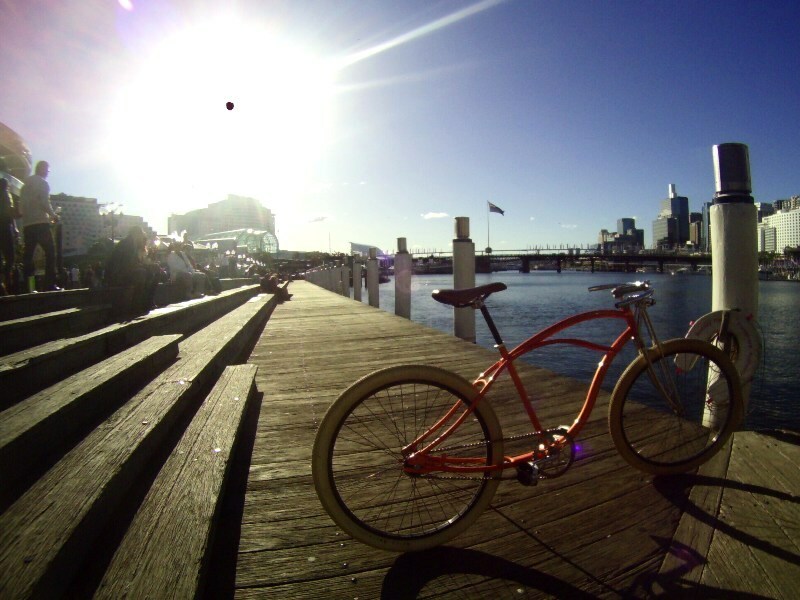 Can you recommend a Beach Cruiser bike shop in Sydney? I’m having a hard time finding a good one from here in Florida.